Dangal 5th Day Collection Tuesday Total Box Office Business: Bollywood Superstar Aamir Khan latest film Dangal is getting rave reviews and box office in domestic market. the movie has collected total Rs 106.95 crores nett amount in its first weekend from Indian box office. Due to holidays the movie has done an extremely well Monday and Tuesday. On 1st Monday the movie has collected 24.5 crore (As per early biz reports). The film is getting terrific word of mouth and it will sure give a boost in its box office. Aamir Khan, Sakshi Tanwar, Fatima Sana Shaikh, Sanya Malhotra, Zaira Wasim, Suhani Bhatnagar are major star casts of the film and directed by Nitesh Tiwari. 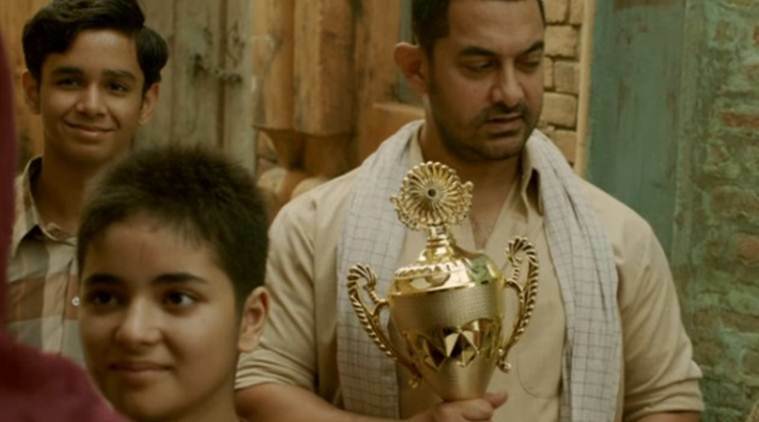 Dangal 5th Day Collection Tuesday Total Box Office Business: The movie has done an good opening weekend box office collection, Dangal joins the 100-crore club films of Aamir Khan’s previous blockbusters including Ghajini (2008), 3 Idiots (2009), Dhoom 3 ( 2013) and PK (2014). Dangal overseas market box office business is also superb and it has collected more than Rs 60.99 crores. It’s particularly doing well in the Middle East and North America. #Dangal has an INCREDIBLE Mon... Fri 29.78 cr, Sat 34.82 cr, Sun 42.35 cr, Mon 25.48 cr. Total: ₹ 132.43 cr. India biz. FABULOUS! #Dangal is UNSTOPPABLE... Does EXTRAORDINARY biz on Day 2... Fri 29.78 cr, Sat 34.82 cr. Total: ₹ 64.60 cr. [incl Tamil and Telugu]. I hope you liked my report on Dangal 5th Day Collection Tuesday Total Box Office Business. Soon i will share 6rh day collection.